We’d love your help. 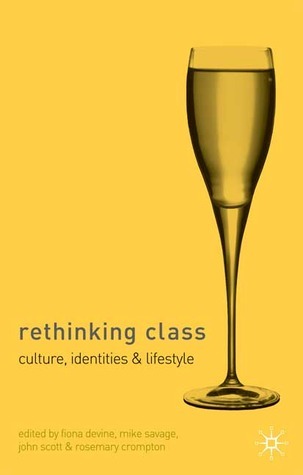 Let us know what’s wrong with this preview of Rethinking Class by Rosemary Crompton. This collection considers the growing interest in the issue of culture in sociology and its implications for the study of class relations. Presenting recent empirical research conducted in Britain, Europe, America and Australia on class and the intersection between class, gender and race, it celebrates the emergence of new ways of knowing about social inequalities. To ask other readers questions about Rethinking Class, please sign up.